What are conditions like in the trenches? What forms of combat do you see? What examples do you see of the technology of war available at this time? Why do you think the filmmakers also included comments by Peter Stanley of the National Museum of Australia? 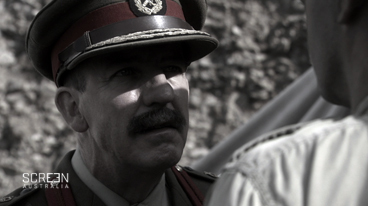 Do you think Monash was attempting to gain fame and glory for himself or for his troops? Explain how his troops might benefit from positive publicity. Is re-enactment the best way to provide this information? How does it compare with other sources of information in this clip? Discuss whether use of several sources of information helps to convince viewers that Monash and events are accurately portrayed.